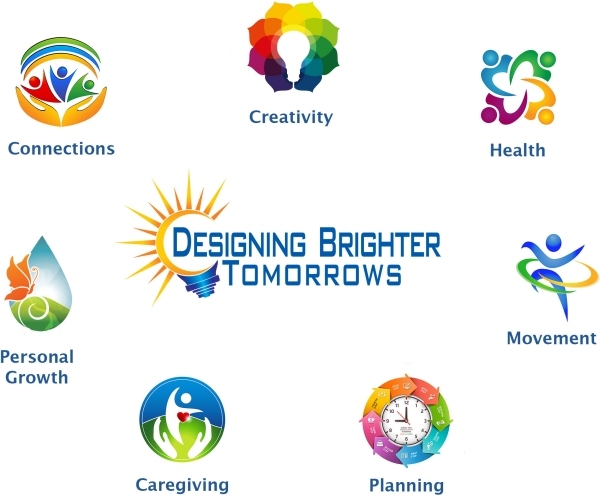 We, the team of creators, researchers, and writers for Designing Brighter Tomorrows (DBT), are here for those of you in your second half of life. We aim to bring you ideas on how you can live your life in the fullest, healthiest, and most satisfying ways possible. You have an abundance of life experience. Now is the time to be able to go deeper in your understanding of the experiences and of life. Your families and communities can benefit greatly from what you have to share. These bonus years are a great resource for our world. We have on our website information, education, and various resources to help you to develop your potential to be an effective and positive force in your world. This can be with your peers as well as with older and younger generations. In many cultures across the world, those who have lived much of life are respected as vital resources in their families and communities. That is not always the case in modern America. This website is here to offer other ways. Please explore our seven areas, and come back often for new information. If you would like to give us your feedback and suggestions, please go to our contact tab. We would love to hear from you. What’s New: Please explore our area of video and other media. There is an excellent video about some of the research being done in the area of Alzheimer’s Disease, and the hope for the future of treating this disease. There are also web resources for information about Parkinson’s Disease. We have some basic information on using MeetUp, a wonderful way to find people in your area with common interest. Maybe you can create a MeetUp group for those interested in exploring this Second Half of Life in a fully empowered way. We have added our other social media sites.Be sure to explore our YouTube and Vimeo sites, by clicking on the icons on the top right corner of the website. Enjoy the beautiful relaxation videos with calm music and beautiful autumn scenes from the Colorado mountains. Keep visiting these sites, as other relaxation and educational videos will be added to them. We have created videos on how to use Skype and Pinterest. On our Facebook and Google+ sites, we are sharing our resources as well as other resources that we have found on the internet. We have a Pinterest site for those who want to keep track of the ideas that they find. A tutorial on how to create a YouTube account, and to subscribe to the channels that interest you. We’ll also do a tour of our YouTube Channel, so you can enjoy all that we have to offer. Welcome to our site, and come back often.